Directions: 85 to PJ Adams Pkwy. Right onto Villacrest, house is on your right. Remarks: Real Estate Owned REO in a great location south of I-10. Short commute to all points south to include Eglin, Duke and beaches, also close to town for shopping, medical facilities and schools. 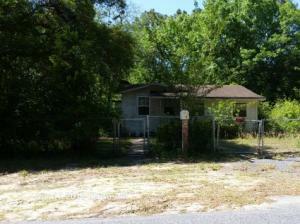 This 3 bedroom, 2 bath features a living room that is a good size with a sliding glass door to the back Florida room. The tiled kitchen is large and has a center island and there are plenty of cabinets. Double vanity sinks in the tiled master bath, not to mention separate walk in closets. Call to schedule your appointment. Directions: From I-10, take HWY 85N to HWY 90W. Take HWY 90W to Wilkerson Bluff Rd. Turn left. Home is on right on corner of Suzanne Cir. Remarks: Home just outside of Baker sitting on a corner lot on paved Wilkerson Bluff on approx 2.5 acres large workshop in back yard with lake privileges in Crystal Lakes Ranchettes. The rooms are huge and there are two decks- one covered 12X24 and one uncovered 12X24. Built-in bookcases on each side of computer station; plenty of closet space, pantry, looking for a home in the country? This is it. 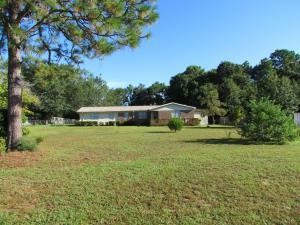 Remarks: Hard to find on 2 acres under 50,000 for this 3 bedrooms, 2 full bathrooms and approximately 1248 sqft. The home has French doors off the eat in dine kitchen combo lots of cabinet space. Stone fireplace in the main room. 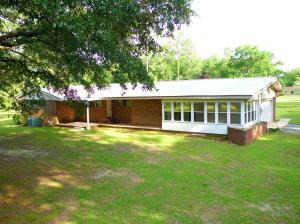 Stove and Dishwasher included stay with the home.Enjoy the quiet country living half way between growing Baker and growing Atmore towns. Call to take a look at 6469 Partin Lane today. 1 Palm Dr Shalimar FL REO bank owned bayfront home now sold. Real Estate Owned REO. Executive home on Lake Clyde with Bay access and an awesome view of the Bay and Destin. Large foyer entry with ceiling that vaults to the second story and spiral staircase to the second floor. Formal living room with hardwood floor. Formal dining room with hardwood floor and crown molding. Family room with hardwood floor, wainscoating, gas fireplace, recessed lights, and wet bar. Gourmet kitchen with Corian counter tops and sink, tile floor, European cabinets, Jennaire smoothtop stove, Whirlpool oven and microwave, and Whirlpool dishwasher. Adjoining 19×12 utility room and pantry. Study off the foyer. 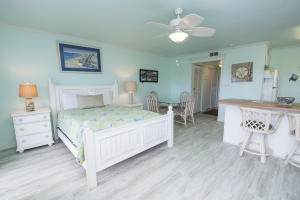 Spacious Florida room that runs the entire length of the back of the house and overlooks the pool, the lake, and the bay. Call to take a look today. Master bedroom has crown molding, recessed lighting, and a door to the upstairs balcony which also overlooks the pool, lake, and bay. Master bath consists of two rooms, one with a whirlpool tub, separate shower, marble vanity, toilet, bidet, and closets and the other with a vanity and closet. Two of the other five upstairs bedrooms have a shared Hollywood bath with skylight, shower and tub with tile surrounds, tile floor, and pedestal sink. The fourth bedroom has it’s own bath with shower and tub with tile surrounds, tile floor, and marble vanity. Also upstairs are a sewing room with built-in cabinets and a separate laundry room. Three geothermal air conditioning and heating systems one for downstairs, second for upstairs, and the third for the Florida room. Both an electric and a gas Rinnai instant hot water heater. lawn pump and pool pump,Central vac, Over-size side-entry two-car garage with door. Water and sewer lines in 2002. Gas includes one of the two hot water heaters, a stove for a gas, fireplace, BBQ, and a gas stub for the pool. Gunite pool and pool deck. Boat house with lift. Remarks: Real Estate Owned REO. 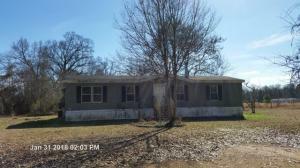 Brick home that has Oak floors throughout house,bathroom is tiled flooring. 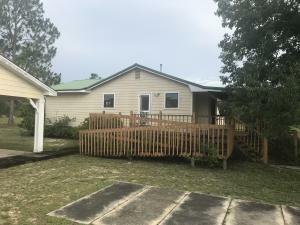 Very private yard yet extremely close to town(30 seconds from Wal Mart,a couple of minutes from West DeFuniak Elementary,Beef O’Brady’s restaurant,Interstate 10, and 25 minutes to Eglin and the beach).Subdivision well established lakefront community. Waterview from Living room. 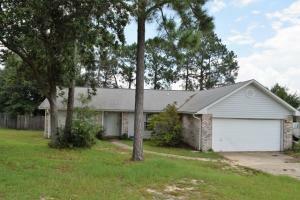 Call to take a look at 162 Pine Hill Dr today.